In recent years, the noise in the networking marketplace has reached unparalleled levels. 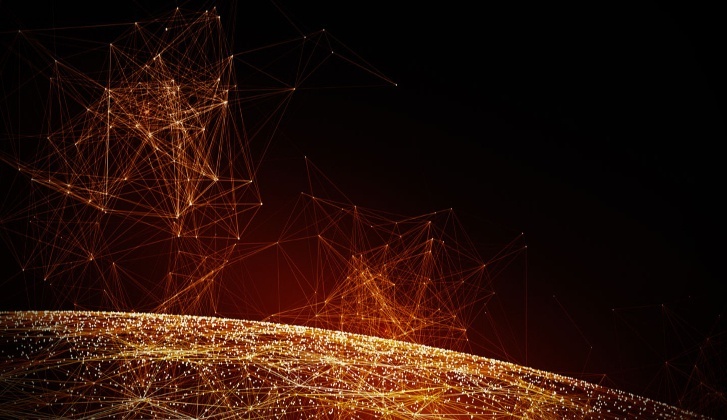 Software-defined wide-area networking (SD-WAN) is poised to create disruption throughout the sector, rising to prominence, especially, throughout retail and manufacturing industries. Such is the level of interest in SD-WAN, Gartner has estimated that 25% of enterprises will adopt the technology within the next two years. To cut through some of the racket and provide an impartial perspective on SD-WAN, we've outlined a detailed introduction for IT and telecoms professionals. SD-WAN is a technology that differs from the traditional hardware-centric networking approach. It can transform enterprise networks from slow and fractured to agile and optimized, and supports chaining for additional services such as WAN optimization and firewalls. SD-WAN achieves this by utilizing overlay tunnels on top of available transport links – be it MPLS, ADSL, or any other – to transfer data. While critical data will predominantly be sent along the MPLS links, less important everyday data can be sent along the broadband connections, reducing the need, and cost, to have MPLS to carry both sets of information. One of SD-WAN’s chief characteristics is the provision of dynamic, policy-based application path selection across multiple WAN connections. This makes it possible to reduce MPLS – or other expensive fixed internal WAN – circuit costs by directing some or all of the traffic over encrypted channels. Put simply, SD-WAN products offer a lightweight replacement to the traditional router. While it is little surprise that SD-WAN has begun to experience high growth within the WAN market, dedicated routers and WAN optimization controllers are still being widely deployed in enterprise environments. In fact, many SD-WAN deployments today aren't replacing traditional routers at all; they're supplementing them, helping to increase risk aversion and reduce the lack of support for legacy infrastructure. A recent study from Gartner found that many enterprises are struggling with the price, performance, and flexibility of their traditional WANs, which has only been compounded further the by growth of public cloud applications. Moreover, many enterprises have complex infrastructure at their branch or offices, consisting of routers, WAN path controllers, WAN optimizers, firewalls, and other components that are expensive to buy, complex to manage, and difficult to maintain. SD-WAN represents a solution to these problems. SD-WAN makes it possible to bond multiple WAN connections together – internet, MPLS or any other transport pipe – to create a single bundled link that’s stronger than any one connection individually, this reduces dependency on expensive links, reducing costs, and also increases the overall network performance. Additionally, by placing edge devices in enterprise environments it’s possible to control and shape bandwidth at an unlimited number of sites using a centrally managed interface, reducing maintenance costs, and eliminating management complexity. The benefits of an SD-WAN approach are substantial. Compared to traditional WAN products, SD-WAN reduces capital and operational costs at the WAN edge, improves provisioning times, and enhances branch uptime. Enterprises can incorporate SD-WAN technology to leverage different network technologies as a matter of policy. Instead of having to configure network hardware directly, SD-WAN centralizes WAN management, enabling greater control, flexibility, and agility when allocating enterprise network resources. The prime limitation of SD-WAN is that, as a new technology it does not currently always address the full complement of functions needed by all enterprise branches. Many commercial products in the market lack robust security, voice, and WAN optimization functionality; while many of today's SD-WAN products don't support legacy infrastructure. Fortunately for enterprises, with the growth expected within the SD-WAN market, these limitations should be addressed in the foreseeable future. The networking marketplace includes multiple functions, deployment methods, and consumption models, and has experienced substantial innovation in the past two years. For IT and telecoms professionals interested in an SD-WAN technology, the challenge is understanding the real processes that are involved in an SD-WAN transformation, incorporating expenditure and cost savings, and whether making the switch makes monetary sense. SD-WAN represents a disruptive technology set to make a substantial impact on enterprise networking as a wide range of vendors seek to disrupt the long-standing WAN reliance. For further insight into the current state of the global TEM industry, download the Gartner 2017 TEM Market Guide. This post is the first in a 6-part series that will explore everything an enterprise needs to know about SD-WAN, and how leveraging an SD-WAN solution with existing infrastructure can provide substantial business benefits. In part two, now available here, we focus on the 5 key benefits of SD-WAN for enterprise environments, outlining why interest in the SD-WAN marketplace has surged dramatically as the need for more responsive, flexible, and available networks has grown. To gain up-to-date insight into how to extract the maximum value from your SD-WAN deployment, while smoothing the transition process, download: The Complete Guide to SD-WAN Deployment.